Rajen Nair is a freelance photojournalist living in Mumbai. He has a partial hearing disability. 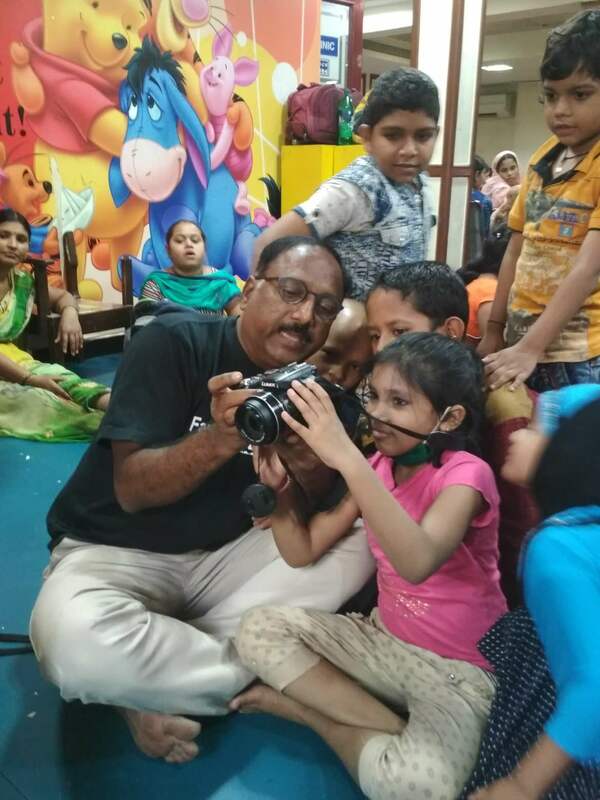 Rajen has conducted photography workshops for about 700 children, including cancer patients and children with disabilities. Rajen worked for over 15 years in an MNC. He was a businessman, and things were fine until he was diagnosed with a defect in his right ear. He underwent a surgery in 2000. However, things did not get better for him as he was later diagnosed with tinnitus. “Tinnitus patients suffer from depression and have suicidal tendencies too. I went through all that for a long time. But then, one morning, I decided that instead of spending years worrying about my condition, which I had to deal with anyway, I would use my time more productively,” says Rajen. He has been associated with the Tata Memorial Hospital for about five years now, and his visits are looked forward to in the pediatric ward. 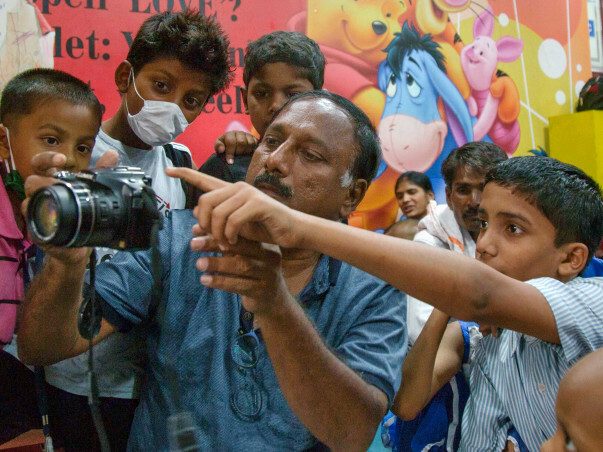 Nair has a group of children suffering from cancer who learn photography under him. Rajen needs a place near Tata Memorial Hospital to teach children from the hospital. He only has two functioning cameras at the moment, and needs more to continue his teaching. Help Rajen impact the lives of children suffering from cancer and bring smiles on their faces! I am conducting regular photograhy classes to cancer affected children at pediatric ward of Tata memorial hospital, parel,Mumbai. I wish to have a place of my own to conduct such photo training class. Request you to share this campaign actively with you friends and family. I salute your effort Rajen. How you dedicate yourself to bring some joy in these ailing kids is truly remarkable.